Everyone wants a beautiful smile. This is a given. Quite a lot of the time you hear people talking about tooth whitening, straightening, implants, veneers. But what about your gums? After all they are an important factor in your smile! Most adults in the UK have gum disease to some degree and most people experience it at least once. It's less common in children. Why is gum health so important? If you have gum disease, your gums may bleed when you brush your teeth and you may have bad breath. This early stage of gum disease is known as gingivitis. If gingivitis isn't treated, a condition called periodontitis can develop. This affects more tissues that support teeth and hold them in place. If periodontitis isn't treated, the bone in your jaw may be damaged and small spaces can open up between the gum and teeth. Your teeth can become loose and may eventually fall out. Plaque. If plaque is not removed on a daily basis it produces toxins that will irritate the gum tissue causing gingivitis. This is why oral hygiene is so important in our daily routines. Cleaning! 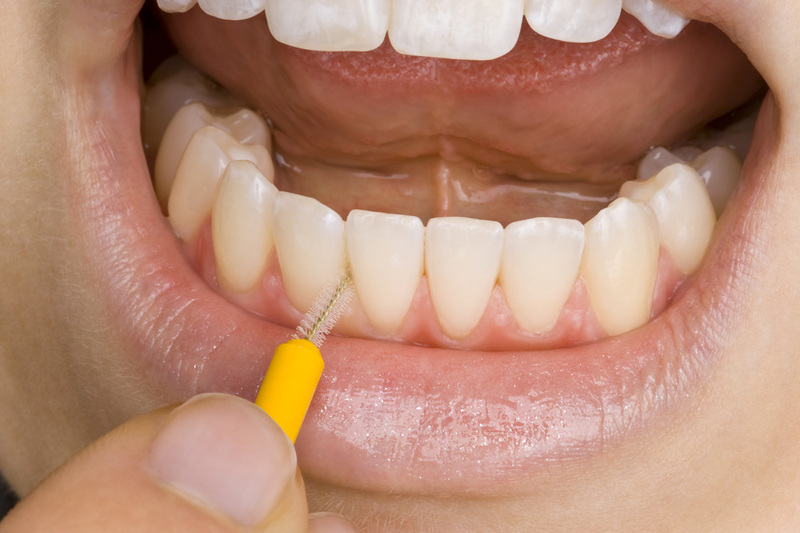 You can use interdental brushes to clean in between your teeth. They look like little pipe cleaners and come in different sizes to fit the gaps in between your teeth. This should be done once a day. You should brush your teeth twice a day - morning and night for 2 minutes. Sometimes if you have crowded teeth it may be difficult for you to clean the gums, therefore brace treatment may be a good idea, the cleaning fundamentals will still apply. Can bad gums prevent me from getting dental treatment? Yes, depending on the treatment. If you are getting brace treatment, your dentist may advise you to see a hygienist before the treatment starts. Your dentist will give you all the information needed before you start any treatment. Do I need to see a hygienist? Yes. How often depends on your oral health. Some people see a hygienist once a year, twice a year or even 4 times a year. The hygienists will clean under your gums and remove any standing on your teeth. They will be able to clean the areas you can’t. Regular hygiene appointments and your own oral hygiene routine at home will ensure you have a nice health mouth. If you have infection in your teeth then it can be a little tender. Your hygienist may use local anaesthetic to help with the discomfort. What if I have a bad gum infection? Your dentist may advise you to have a course of hygiene appointments. This can be over a period of 6 weeks. You may be prescribed antibiotics to take a few days before your appointment to reduce the infection and help the appointments be more comfortable. Your hygienist will then carry out a deep and thorough clean of your teeth and gums concentrating on the infected area. They will then go over oral hygiene with you and advise on the correct interdental brushes and tooth brushing techniques. You may feel slight tenderness after this appointment. This will go after a day or so and can be managed using over the counter pain relief. Hygiene therapy can cost anything from £100.00 to £300.00 depending on the practice you choose. Some practices may offer a monthly plan which can make the treatment more affordable. If you want to invest in your smile, remembering your gums will be worth every penny!